Rumor or Fact – Is Republican Representative Ryan Costello Considering Retirement From the 6th Congressional District? Rumor has it is that Republican Rep. Ryan Costello of Pennsylvania’s 6th Congressional District is considering retirement. At least 38 U.S. House Republicans have announced they are retiring, running for another office or resigning outright — will Costello add his name to the list? If Costello were not to seek re-election this could be a game-changer for the Democrats. But Costello doesn’t have much time to decide – he is up against a fast-approaching deadline –his petition and required signatures to run is March 20. When you look at the map of Pennsylvania’s 6th District, gerrymandering is particularly glaring. With the recent redrawing of the congressional map by the Pennsylvania Supreme Court, Costello’s district was greatly affected. The new map has the boundaries of the 6th District to include all of Chester County and the city of Reading. State Republicans want to keep the old lines and are challenging the proposed redistricting map in court but no final legal decision has been made. There could be an interesting twist in the 6th Congressional District race, which no doubt is being discussed in the backrooms. If Costello does decide to retire, who becomes the replacement Republican candidate for the 6th Congressional District? Republican Michelle Kichline is the current chair of the Chester County’s Board of Commissioners. In 2014, Michelle replaced Ryan Costello as County Commissioner; would she now run for his seat in the 6th District? The clock is ticking down – March 20 is less than a week away and if Costello bows out, it would give a new candidate less than a week to gather the necessary signatures to run. This week saw Democrat Conor Lamb win the PA 18th Congressional District in a special election, in a district previously held by a Republican. Knowing that Trump carried the 18th District by 20 points, this swing from Republican to Democrat was national news and may well be the reason for the Costello retirement rumor. And the Democrat victory in the special election could also cause pause to any potential Republican replacement candidate in the 6th District. If the incumbent Republican Representative Ryan Costello were not to seek re-election, Democrat challenger for the 6th District, Chrissy Houlahan, could find herself in an enviable position. With Republican Ryan Costello’s 6th District Congressional win in the November election, Chester County needed a new County Commissioner to fill his unexpired term. According to Pennsylvania law, the Chester County Court of Common Pleas had to fill the vacancy with another Republican to finish Costello’s term, which runs through 2015. The voters will elect a commissioner for a full 4-year term next November. Michelle Kichline (R), along with five other Republican candidates, John Primus, Leon Spencer, Jr., Maureen Snook, Hudson L. Voltz and County Treasurer Ann Duke interviewed this morning with the judges of Chester County Court of Common Pleas for the Board of Commissioners vacancy. The judges made their selection and I am delighted to report that Michelle Kichline, attorney and former chair of Tredyffrin Township’s Board of Supervisors, is our new Chester County Commissioner! Costello’s official resignation date is tomorrow December 9 and his Commissioner torch passes to Kichline. It’s exciting to have a Tredyffrin Township resident represented on the Chester County Board of Commissioners! Election 2013 Results: Surprises for Tredyffrin Township Board of Supervisors & T/E School Board! The 2013 Election Day results are in and there are some changes for the Board of Supervisors in Tredyffrin Township and the T/E School Board. National politics and the Tea Party movement certainly appear to have influenced the outcome in some of our local races. In a surprising upset, two Democratic at-large candidates Murph Wysocki and Mark Freed, beat incumbent Michelle Kichline (R) who currently serves as the chair of the Board of Supervisors and Trip Lukens (R), chair of the township’s Planning Commission. In the middle District supervisor race, EJ Richter (R) beat Laurie Elliot (D). Prior to this election, only 2 Democrats (Paul Drucker and Mark DiFeliciantonio) have ever served on Tredyffrin Township Board of Supervisors. As of Election Day 2013, that number has now doubled. For the T/E School Board, incumbent school board president Kevin Buraks (D) won his race against opponent Pete Connors (R). 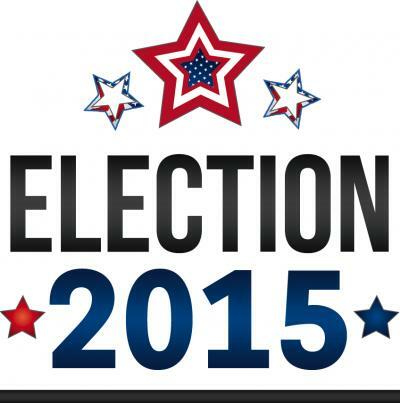 However, incumbent Rich Brake (R) lost his seat on the school board to Democratic candidate Scott Dorsey. Election results indicate that Republicans Virginia Lastner and Doug Carlson will join the school board from Easttown Township. Thank you to all the candidates and congratulations to those who won! NOTE: The TE School Board candidate debate and the Tredyffrin Township Board of Supervisors candidate debate are now available on the township website, click here. The League of Women Voters candidate debate for the Tredyffrin Township supervisor candidates followed the TE School Board candidates debate on Saturday. The format was the same – 2-minute opening statements, audience questions read by LWV moderator and then 2-minute closing statement by candidates. All six candidates participated, Michelle Kichline (R), Trip Lukens (R), Mark Freed (D) and Murph Wysocki (D) for the two At-Large supervisor seats and Laurie Elliott (D) and EJ Richter (R) for the Middle supervisor seat. Many of the audience members from the school board debate remained for the supervisor debate. Perhaps due to the lateness in scheduling of the school board debate, there appeared to be many more residents attended the supervisor debate. Whereas the focus of many of the audience questions for the school board candidates focused on communication, transparency and trust issue, it was interesting to note that no such questions were posed to the supervisor candidates. Both the TE School Board and the Tredyffrin Township had two incumbents participating in the LWV forum – Kevin Buraks (D) and Rich Brake (R) for the School Board and Michelle Kichline (R) and EJ Richter (R) for the Board of Supervisors. TE School Board president (Buraks) and the Board of Supervisors Chair (Kichline) are both incumbents, seeking reelection. The supervisor forum quickly became the debate between (1) the accomplishments of the current board versus (2) the criticism from their opponents of what more could have been accomplished. Three of the four At-Large supervisor candidates (Kichline, Freed, and Wysocki) are attorneys; their banter and positioning making the fact obvious. However, with a background in commercial real estate evaluation and six years on the Planning Commission, Trip Lukens, the at-large supervisor candidate (without the legal background) handily held his own. Although currently serving as an at-large supervisor, Chesterbrook resident EJ Richter is seeking election to the middle district seat, her opponent is Laurie Elliott from the Glenhardie section of the township. Elliott’s message was primarily focused on safety and stormwater. On safety, she supports the police department but due to increase in daytime burglaries, wants to make certain that the department remains fully staffed. As a Glenhardie resident, she is eager to see solutions to the township’s stormwater issue and believes we need action rather than more studies. Richter focused her statement to her role as ‘taxpayer advocate’ as she did in the 2009 election, claiming that while in office she has never voted for a property tax increase. In addition to her no tax increase stance, Richter offered a couple of accomplishments during her term as supervisor – the creation of ‘Tree-dyffrin’, the planting of trees in Wilson Farm Park for storm water management and working to get township street lights replaced. In her second year as chair of the Board of Supervisors, Kichline pointed to some of the township achievements including the development of a citizen advisory committee that is working on ideas for keeping Tredyffrin competitive in the commercial development market. Under her leadership, Kichline noted a new township website, new software that improves the planning and zoning process, and named several companies that have relocated to the township, including Auxilium and Teleflex, in addition to Shire’s decision not to leave. Kichline argued that the revitalization is beginning in Paoli and cited the $15 million residential project recently approved the SEPTA plan and the planned relocation of the dangerous N. Valley Bridge to Darby Road. As a member of the Planning Commission, Lukens spoke of the process to rewrite the commercial zoning ordinance for the township as a vehicle to encourage development in the township. According to Lukens, the rewrite required a ‘looking outside the box’ approach and as an example mentioned the commercial zoning rewrite included increasing building height restrictions and structured parking as a means of better storm water management. Freed, an environmental attorney, focused his attention on township storm water issues and ‘smart development’, pointing out the ;underused resources in the business parks and shopping centers;. Claiming that he, “knows how to get things done” Freed scoffed at Richter’s suggestion that Tredyffrin is undergoing a Renaissance with new restaurants, retail, etc. saying, “If this is a Renaissance, I’d hate to see what the Dark Ages were like”. As pointed to by Kichline and Richter, a number of new retail stores, restaurants, companies have recently opened in Tredyffrin. Freed dismissed these as individual successes, preferring to focus on empty office buildings, shopping centers and storefronts. According to him, enough with the “plan, plan, plan, study, study, study, money, money, money – we need action”. With thirty-five years of experience as a commercial real estate lawyer, Wysocki’s focus was similar to Freed on the need for smart commercial redevelopment. However, Wysocki’s particular focus was on the Paoli Transportation Town Center, restating several times that the project has been in the works for 20 years, and there is still no shovel in the ground. His frustration with the project delays was evident; believing that his background and experience can move it forward and that he” knows how to solve problems and get results”. He suggests broadening the tax base with commercial redevelopment projects to increase commercial revenues and as result, residents will enjoy higher property values. The common thread throughout the 2 hours was the need for economic redevelopment in the township – the question is which candidate can best make that happen. Fifty percent of the supervisor candidates point to change that has occurred, including the updated township website and technology, commercial zoning re-write, new restaurants and retail stores, corporate re-relocations, citizen advisory group, etc. as an indicator of the future while the remaining candidates believe that the redevelopment in the community is not moving quickly enough and that more should be done. The economic revitalization of Tredyffrin Township is critical to to the future of our community and a topi on which all six candidates agree. The decision for the voter on November 5th is which supervisor candidates are best prepared to make it happen. I encourage you to watch the debates, review the candidate’s websites and speak directly to the candidates — tell them your concerns; ask them your questons. Election Day is Tuesday, November 5! Without a final Vanguard settlement agreement, Tredyffrin supervisors postpone vote … How could School Board vote to approve? Tredyffrin’s largest employer, Vanguard, challenged the tax assessments for its main corporate campus and several of the buildings that surround the main campus for tax year 2012-13. On July 8, the School Board held a Special Meeting to approve the Vanguard appeal settlement. The School District had challenged Vanguard’s appeal and rather than the potential loss of $800K in revenue annually, the settlement cost the District $150K in annual revenue – saving the District $650K in annual losses. At a Special Meeting on July 8, 2013, the Tredyffrin/Easttown School Board approved a settlement agreement concerning the Vanguard assessment appeals. While the Board approved the settlement, the agreement is not final until Tredyffrin Township and Chester County, which are also taxing authorities for the Vanguard properties, also approve the agreement. All parties have been involved with the negotiations process which began in the fall of 2011. I attended Tredyffrin’s Board of Supervisors meeting last night and discussion of the Vanguard appeal settlement was on the agenda. Based on the school board’s July 8 approval of the settlement agreement, I assumed that the supervisors would rubber-stamp that decision. However, as we learned from the township solicitor, Vince Donohue, the Vanguard agreement was not final and that the attorneys for the District and Vanguard were still going back and forth over the details as late as 5 PM last night. Donohue explained that the legal discussion would not change the assessment values but rather the ‘terms’ of the agreement, concluding that the “devil is in the details”. Based on the uncertainty of the final Vanguard agreement, Donohue advised the supervisors to postpone their vote. For several of us who attended both the school board meeting and the supervisors meeting, you are left shaking your head and wondering why is there such a disconnect between the school district and the township. Two weeks ago the school board holds a special meeting to tell the public their ‘good news’ – that after much effort, the District has reached a settlement with Vanguard and that there is a net savings of $650K. Plus the added bonus included in the settlement is that Vanguard will not seek assessment appeals for 3 years. We have no idea what ‘terms’ of the agreement are still in debate, maybe Vanguard is no longer interested in a moratorium on assessment appeals. What we saw with the VFES tennis courts, we now see with the Vanguard agreement … a complete disconnect between the school district and the township on public issues. Why the seemingly disregard of the township supervisors by the school board? Rather than collaborating on shared matters, such as the tennis courts and the assessment appeal, the school board makes their decisions and then leaves it to the supervisors to find out after the fact. I’m struggling to understand how it is possible that, without a final Vanguard appeal agreement to review, the township supervisors appropriately decides to postpone their vote whereas the school board votes to approve that same agreement and then works on the terms afterwards? May 1 was the deadline for the School District to submit their variance application to the Township in order to be listed on the Zoning Hearing Board’s May 23 meeting agenda. According to Township Manager Bill Martin, the application was received today. Some of the neighbors of the Valley Forge Elementary School tennis courts may think there is nothing to stop the ZHB from awarding the variance, but that may not be the case. The combined impervious coverage of the tennis courts and the additional parking spaces exceeds the township stormwater requirement. Based on the PA Municipalities Planning Code (MPC) there appears to be no legal basis for Tredyffrin’s Zoning Hearing Board to grant a variance to the School District. That there are unique physical circumstances or conditions, including irregularity, narrowness, or shallowness of lot size or shape, or exceptional topographical or other physical conditions peculiar to the particular property and that the unnecessary hardship is due to such conditions and not the circumstances or conditions generally created by the provisions of the zoning ordinance in the neighborhood or district in which the property is located. That because of such physical circumstances or conditions, there is no possibility that the property can be developed in strict conformity with the provisions of the zoning ordinance and that the authorization of a variance is therefore necessary to enable reasonable use of the property. That the variance, if authorized, will not alter the essential character of the neighborhood or district in which the property is located nor substantially or permanently impair the appropriate use or development of adjacent property, nor be detrimental to the public welfare. According to the MPC, the School District needs to show an economic hardship for ZHB to grant a variance in this matter. However, the additional parking spaces at VFES are optional (not a requirement) for the School District and therefore do not constitute an economic hardship. I have been forced to accept that using the logic that the impervious coverage (of the tennis courts plus the additional parking) is only a ‘little over’ will not satisfy the MPC requirement. There is also the matter of a strict stormwater policy in Tredyffrin, and an important issue that is unlikely sidestepped. A solution that would save the tennis courts, allow the additional parking spaces and not require a ZHB variance was presented to the School District and Township by John Petersen, a former ZHB member. I was copied on the following email sent to Michelle Kichline, chair of the Board of Supervisors, Kevin Buraks, President of the School Board and the Township and School District solicitors, Vince Donohue and Ken Roos, respectfully. The BoS offers up a zoning amendment that creates an exception for what is counted as impervious coverage: tennis courts, basketball courts, etc. that are available for public use (defined as owned by either the township or school district) that exists on or before the date, the zoning amendment is ratified. A possible permutation is that the first 1K square feet is exempted. I don’t think you will get much, if any push back on this. Is it legal? That’s up to you guys to figure out. In my opinion, this is not objectionable, unlike the recent C-1 amendment. The school district is not just any ordinary landowner. Baring this, there is no way to keep the courts and build the additional parking. There are no legal grounds to grant a variance. There’s an old saying that bad facts make bad law. In this case, bad facts sometimes require us to re-visit the law. In 1,000 cases, there may be one time when we should do that. I think this is one of those times. The change is very limited and is in keeping with public policy and finally, no material adverse impacts to storm water. The school district should hot have to choose between courts that have been there for 40+ years and the need to add much needed parking. Although there were follow-up emails sent, to date no one has responded to Mr. Petersen’s suggestion. The four people receiving Petersen’s email (Kichline, Buraks, Donohue and Roos) are all attorneys and therefore presumably understand the standard required by the Municipalities Planning Code for the Zoning Hearing Board to issue a variance. In fact, if memory serves me, Michelle Kichline served on the ZHB before her election to the Board of Supervisors. Considering the legalities of the MPC, why should the School District bother to submit a variance application? If not economic hardship, on what grounds is the School District seeking a variance? Even if the Township reduces the fees to the School District, there are professional costs (legal, architectural) involved with the ZHB variance application. Why not consider a zoning amendment – the tennis courts are saved and the parking lot is expanded. Looks like a win-win for the Township, the School District and the residents who use the tennis courts! Note: I am sending this article to Kichline, Buraks, Donohue and Roos asking them to comment directly to me on (1) the grounds for the ZHB to issue a variance to the School District and (2) the consideration of a zoning amendment. Their responses will be posted on Community Matters. The Valley Forge Elementary School tennis courts are on tonight’s agenda of the TESD. Every time you think that this situation has moved forward, it takes a couple of steps backwards. As a result, it is unclear exactly what is going to come out of tonight’s meeting — will the courts stay or will they go? At the District Facilities Meeting on Friday, April 12, the committee voted to recommend to the school board that the tennis courts be saved. Having attended the Facilities Meeting, I took that to mean that their recommendation would be discussed at the next regular School Board meeting (tonight). I presumed that the Facilities Committee would first make the recommendation; but then it would be up to the full School Board to ‘act’ on that recommendation. However, at the same time that the Facilities Meeting was going on, a draft tennis court agreement was sent from the District to the Township. We learned of that proposal at the Board of Supervisors meeting on Monday, April 15 from chair Michelle Kichline. Kichline, with concurrence from Township Solicitor Vince Donohue, suggested legal problems with the proposal … specifically, that the District was asking for stormwater relief from the Township, in exchange for the tennis courts. After all the discussion that has taken place on this topic, it is impossible to understand why the School Board cannot accept that a stormwater-tennis court trade is not legally possible. Why would the School District submit such a proporal to the township that included storm water relief? We were led to believe at the Facilities Committee meeting, that the school district was interested in a reasonable settlement of the tennis courts situation. However, the proposed agreement suggests otherwise. Who wrote this draft agreement … the School District Solicitor Ken Roos? Beyond the legalities of the proposal, I am struggling to understand how this agreement was sent to the township before the School Board reviewed it. How could the School Board review the draft agreement before the Facilities Committee even sent them their recommendation? Did School Board president Kevin Buraks review the tennis court proposal and authorize its release to the Township? Doesn’t proper procedure count for anything? Where’s the sunshine? The outcome from the Board of Supervisors meeting was the suggestion for the School District and Township solicitors to prepare the tennis court agreement. Donohue and Roos are left to ‘hash’ out the agreement between the two entities at the taxpayer’s expense. Neither TESD nor Tredyffrin Township can afford the legal expense that has now been created by this situation. With all the talks of cuts in the school district, threats of outsourcing, etc. where’s the fiscal responsibility?